Billions of dollars worth of electronics end up in landfills each year. All those outdated cell phones, tablets, computers, keyboards, MP3 players, TVs, VCRs, DVD players, stereos, copiers, printers, scanners, video consoles, fax machines and plenty more all become e-waste as soon as they aren’t wanted anymore. When e-waste gets into landfills, toxic materials such as lead, chromium, cadmium, mercury, beryllium, nickel, zinc and other potential harmful chemicals can contaminate the ground or leach into ground water. Most states, including Illinois, have state laws banning e-waste from entering landfills. It is illegal to dispose of electronic waste in solid waste containers and cannot be collected with household refuse/waste. • 9.4 million tons: Electronics Americans throw away each year. • 350,000 phones: Mobile phones discarded every DAY. • 35,274 lbs of copper: The amount that can be recovered from one million cell phones. 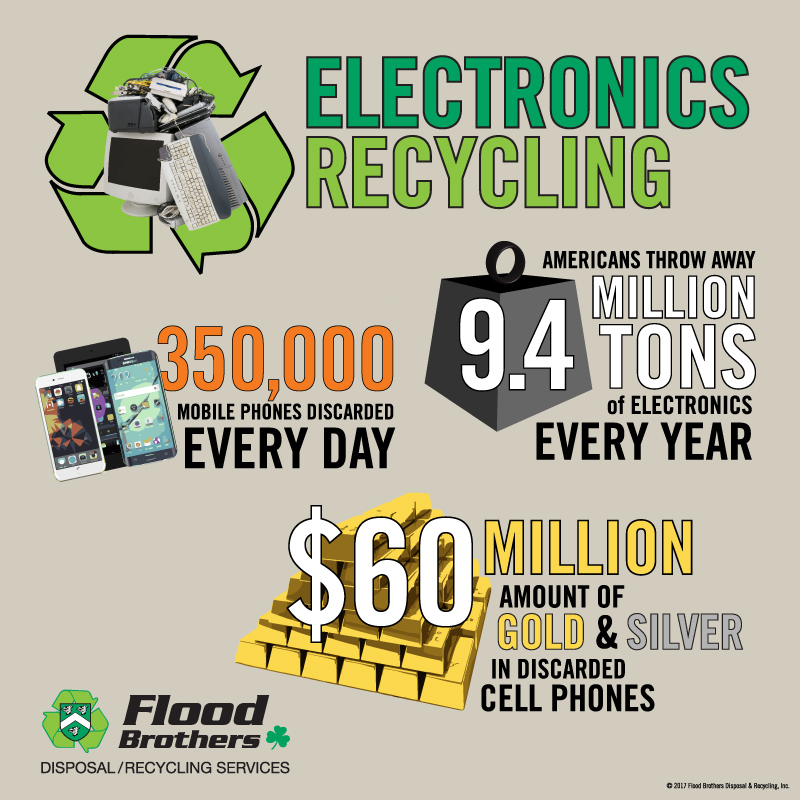 • $60 million: The amount of gold and silver in discarded cell phones each year. • Use this handy Recycling Search to find an e-waste recycler near you. • Check with your city or village for special collection events and pickup days. 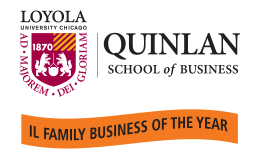 • Kane County residents – click here for drop-off locations and collection events. • DuPage County residents – click here for electronic recycling information. • Check out MidWest Computer Recycling for drop-off times and locations. • Many stores accept drop-offs. Check with Staples, Verizon, and Best Buy. Always confirm ahead of time what types of e-waste they accept. • From time to time, Flood Brothers provides electronic drop-offs at select locations in some of the communities we serve. Call 630-261-0400 for more information. • For an extra fee, Flood Brothers will collect electronics at your location. Contact us online to get a quote or call 630-261-0578. Read more about electronics stewardship from the EPA.